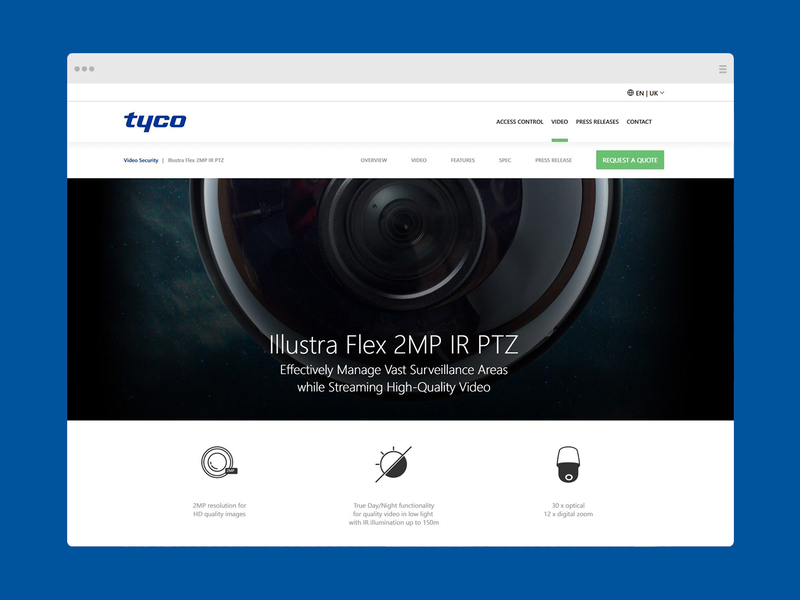 Our team of 3D artists and digital developers have been working on a product launch for Tyco. A bespoke and dedicated product landing page delivers key content, an interactive product explorer and a 3D animated product video. Our talented team have a wealth of experience in creating photorealistic 3D models for a variety of platforms or applications. We understand that for particular industries, showing how something works can be almost impossible to communicate in marketing material. Using 3D models and visuals to create an application which demonstrates a product or service working, provides a believable and engaging experience. Our work with Tyco continues and we look forward to sharing new material in the coming months.